This is wonderful! 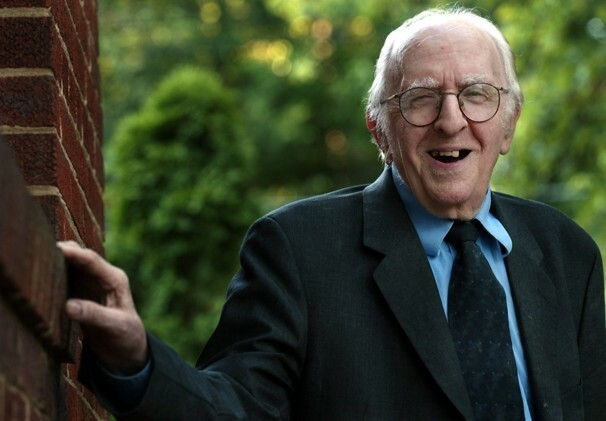 Gay rights pioneer Frank Kameny, an astronomer, was fired for being gay. Now he is a part of the heavens! Kameny, who earned a doctorate in astronomy at Harvard University, was an astronomer with the U.S. Army Map Service in the 1950s but was fired from his job for being gay. He contested the firing all the way to the Supreme Court and later organized the first gay rights protests outside the White House, the Pentagon and in Philadelphia in the 1960s. obituary, he consulted with others in the astronomy world. They decided to submit a citation to the Paris-based International Astronomical Union and the Minor Planet Center in Cambridge, Mass., seeking to designate Minor Planet 40463 as Frankkameny. It’s located in the asteroid belt, orbiting between Mars and Jupiter. The Kameny asteroid is visible through a telescope and was first discovered in 1999 using long-exposure photography. “Frank would show up as a little dot that moves between two points,” Richard “Doc” Kinne, an astronomical technologist at the American Association of Variable Star Observers in Cambridge, Mass., said in an interview. He helped write the citation that would lead to the naming. While comets are often named for their discoverers, those who discover asteroids have 10 years to suggest a name once the discovery is verified. The submission is subject to review by a 15-member international panel, said astronomy historian David DeVorkin at the National Air and Space Museum. Astronomers often use the names as an acknowledgement of someone’s contributions to science or culture. A published citation officially naming the asteroid on July 3 notes Kameny’s history as a gay rights pioneer. “Frank E. Kameny (1925-2011) trained as a variable star astronomer in the 1950s, but joined the Civil Rights struggle. His contributions included removing homosexuality from being termed a mental disorder in 1973 and shepherding passage of the District of Columbia marriage equality law in 2009,” the citation reads in the Minor Planet Circular.